Update: I was photographing Ceres and Vesta last night (5/18/2014) and noticed that Stellarium was a little off in their position. Heavens Above seems to be right on the money! Looking ahead, it looks like the Ceres/Vesta closest approach will occur around July 4-6. In July 2014, the 2nd largest asteroid Vesta will buzz past the 1st largest asteroid (dwarf planet) Ceres in a super close conjunction flyby. Check out these animated star chart diagrams that show the position of Ceres and Vesta during the conjunction. How close will they be? From our perspective about 2' or 3' (arcminutes) separation on the night of July 13. Don't miss the chance to observe and photograph this extreme asteroid mashup in Virgo. 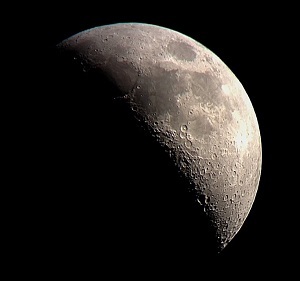 Both objects should be visible in binoculars, with a small telescope, or with a nice zoom lens and DSLR camera. Vesta will be brighter at +6.4 and Ceres dimmer at +7.7 magnitude. Here is an animation I made using screenshots from Stellarium to show the position of Vesta relative to Ceres over a period of 38 days. 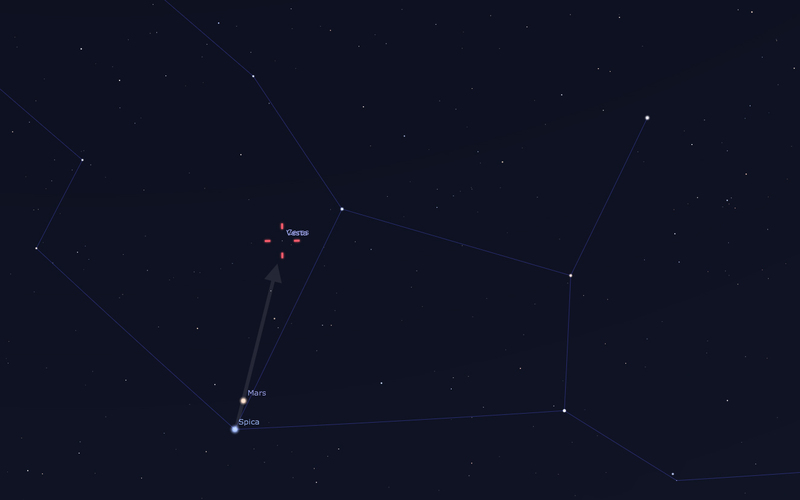 To locate the pair of asteroids, look to Virgo and use the conveniently positioned Mars and Spica as pointers! How handy is that!